Rolf Olsen and Mike Sidonio are pleased to present here what we believe to be the deepest colour image in visible light ever presented of the entirety of the enigmatic and famous galaxy NGC 5128. 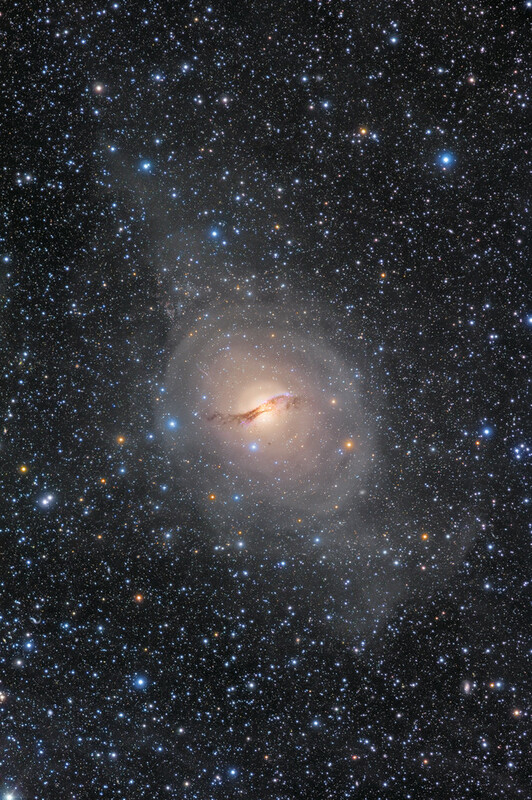 See Rolf's gallery Centaurus A Extreme Deep Field - 120 Hours for full details. See Mike's gallery Centaurus A - the ultimate collection for full details. OMG David Malin would be so proud of you guys!! What an amazing age we live in where both professionals and amateurs can contribute to our understanding of the universe! Hey Mike, you should try a 50 hour exposure with your new scope!! Last year in July I photographed some interesting NLC for almost 1.5 hours and made a timelapse. The clouds appear to roll like waves on a stormy sea. The time lapse is on Vimeo: https://vimeo.com/67714622 . Copyright: Fred Herrmann, Terry Hancock, All rights reserved. Milky Way and air glow over Lake Elmore in northern Vermont, USA. The orange glow is light pollution from a small city about 20 miles south. Asteroid 1998 QE2 on June 1st, 20:35pm (June 2nd, 00:35ut) conditions were below average (cloudy,rain) short session. Animation At: http://www.jaicoa-observatory.com/1998Q ... Anim-2.gif. 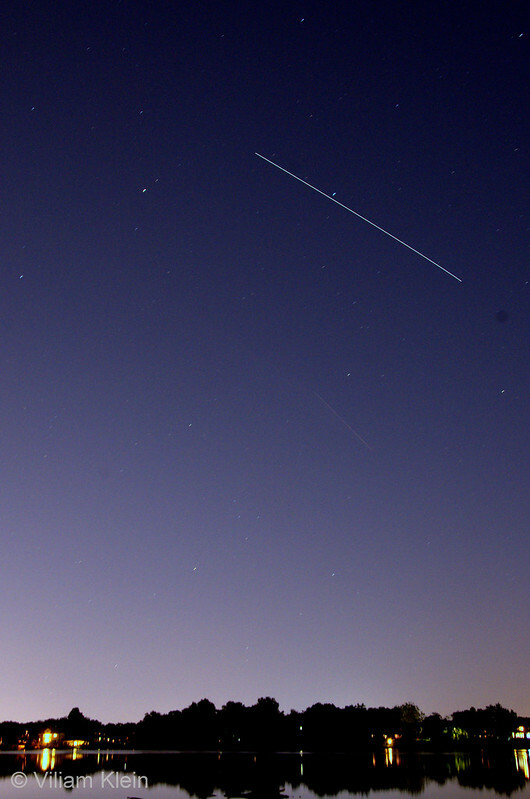 On the animation the first two frames a satellite past through its region at the time when I started to take test images at 4 sec. ea. Last edited by StevenMx on Thu Jun 06, 2013 6:45 pm, edited 2 times in total. Milky Way and air glow over Lake Elmore, Vermont, USA. Light pollution is from Montpelier, a small city 20 miles south. This image has been taken from the swimming pool area on the first floor of the big building in which I leave in Belo Horizonte. It is a stacking of approx. 4 hours of data. Last edited by owlice on Thu Jun 06, 2013 4:33 pm, edited 1 time in total. Reason: Attached smaller images for faster downloading; left link to larger images. Please keep images under 400K. Thanks for sharing! NOTE TO THE BANDWIDTH CHALLENGED!!! The GIF animation linked below is 25 MEGABYTES large!!! The one thousand year old Lowry Kiva in Canyons of the Ancients National Monument Colorado under star trails illuminated by a full moon. Last edited by owlice on Thu Jun 06, 2013 8:07 pm, edited 1 time in total. 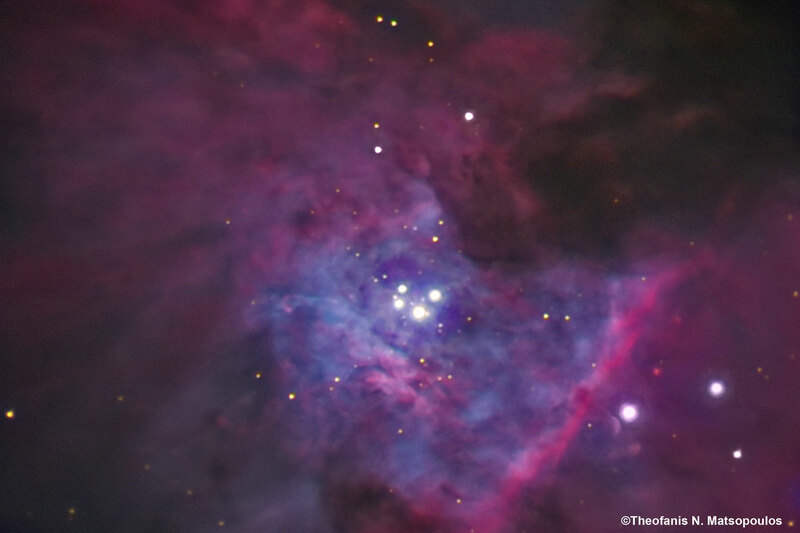 The image was recorded in a single color of light called Hydrogen Alpha (H-Alpha), inverted, and false colored. The gradual brightening towards the Sun's edges is caused by increased absorption of relatively cool solar gas and called limb darkening. Spicules cover much of the Sun's face. Several scintillating prominences protrude, while prominences on the Sun's face are seen as light streaks. The most visually interesting of all are the magnetically tangled active regions containing cool sunspots. The Sun emits light full range. 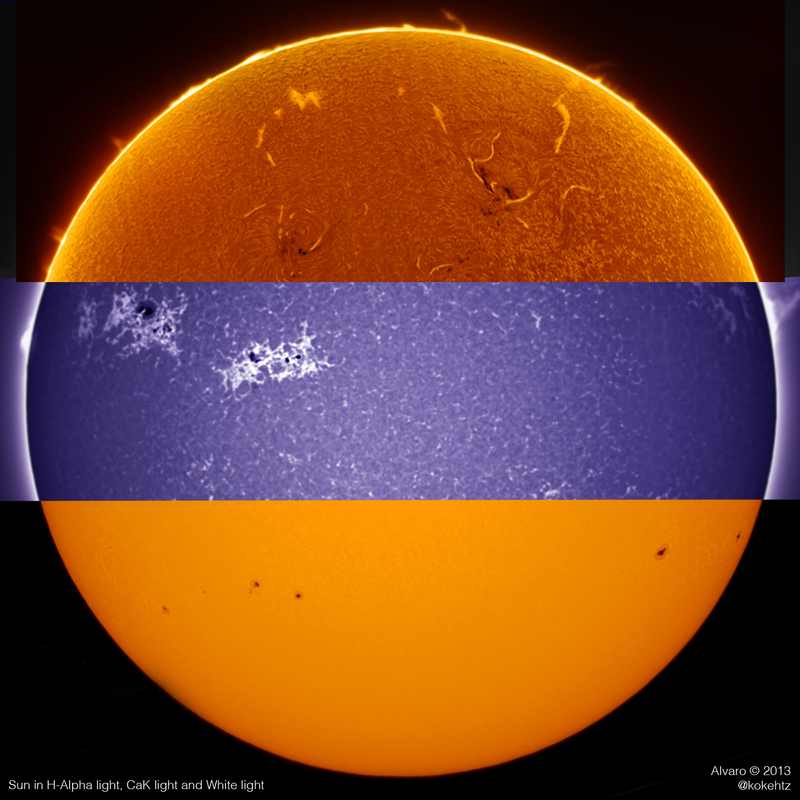 Until recently, only professionals telescopes could observe the Sun in several wavelengths. Today in amateur telescopes can observe in 3 wavelengths: Cak, H-Alpha and white light. In the CaK image above shows the Sun as a purple disk since it was taken in ionized calcium light. 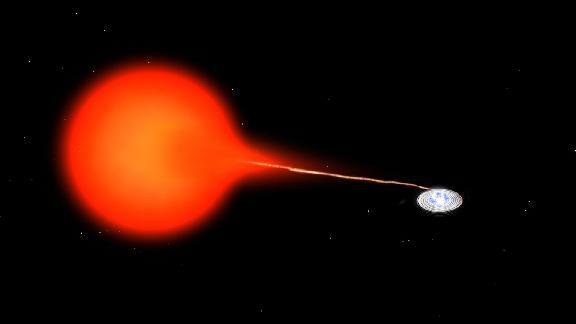 This is light from calcium atoms that have lost an electron. 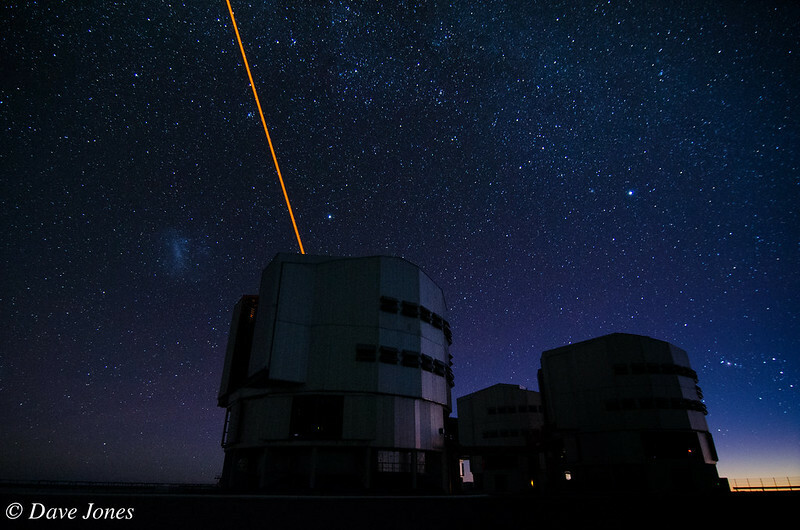 It peaks in the violet part of the spectrum (393.4 nm) and is sensitive to magnetic fields -- magnetically active structures are easier to detect with this light. Places where moderate magnetic fields exist show up brightly (hot), whereas high magnetic fields are quite dark (cool). 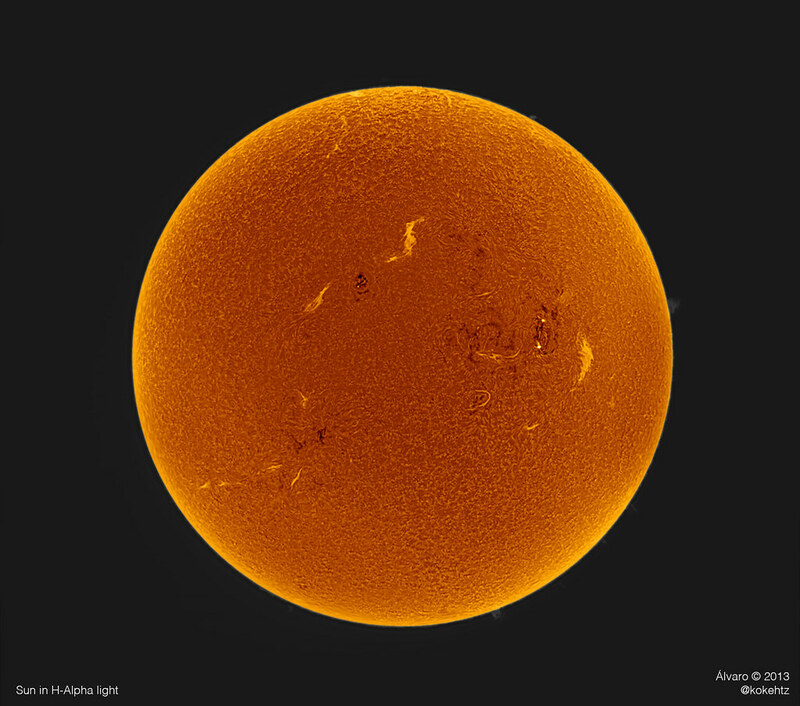 The brightest regions are found in the chromosphere and are known as "plages. 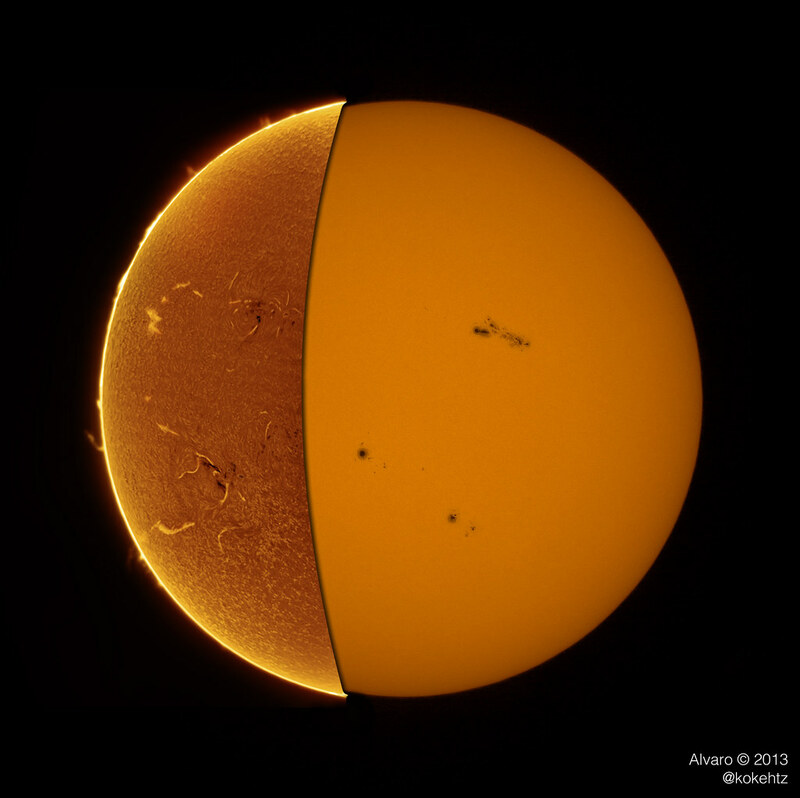 The darkest regions are sunspots -- on the Sun's "surface" or photosphere. These "spots" approximately 1,500 - 2,000 K cooler than their surroundings. Granulation, over much of the photosphere, can also be identified. 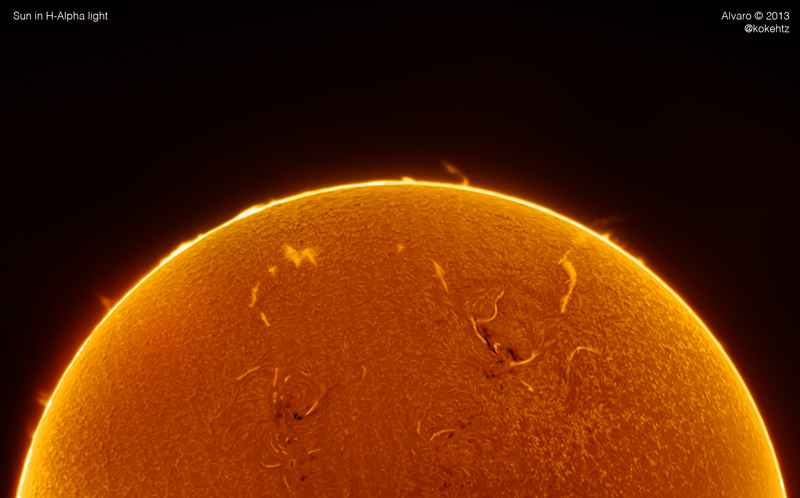 In the H-Alpha picture, several prominences are visible. Active areas of the Sun are marked by dark plages. In the white light picture, you can see the photosphere, spots with umbra and penumbra, also solar faculae are visibles. 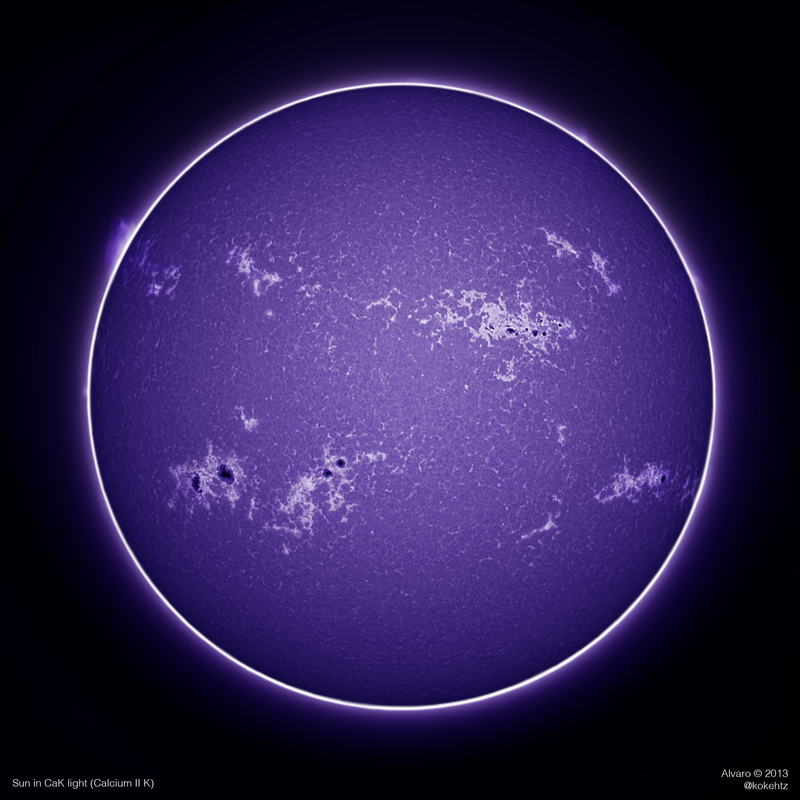 The image above shows the Sun as a purple disk since it was taken in ionized calcium light. This is light from calcium atoms that have lost an electron. It peaks in the violet part of the spectrum (393.4 nm) and is sensitive to magnetic fields -- magnetically active structures are easier to detect with this light. Places where moderate magnetic fields exist show up brightly (hot), whereas high magnetic fields are quite dark (cool). 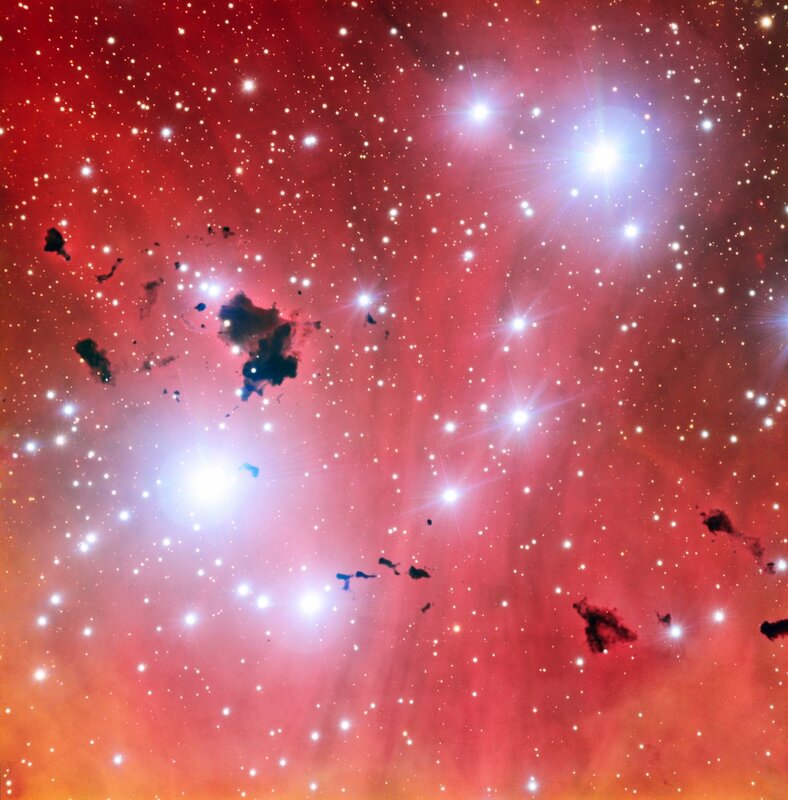 The brightest regions are found in the chromosphere and are known as "plages. The darkest regions are sunspots -- on the Sun's "surface" or photosphere. These "spots" approximately 1,500 - 2,000 K cooler than their surroundings. Granulation, over much of the photosphere, can also be identified. A possible Nova in the Constellation Scorpio imaged on June 6th, 03:36ut (June 5th, 23:36pm). The SN shows very bright in the Red channel. According to Cbet No. 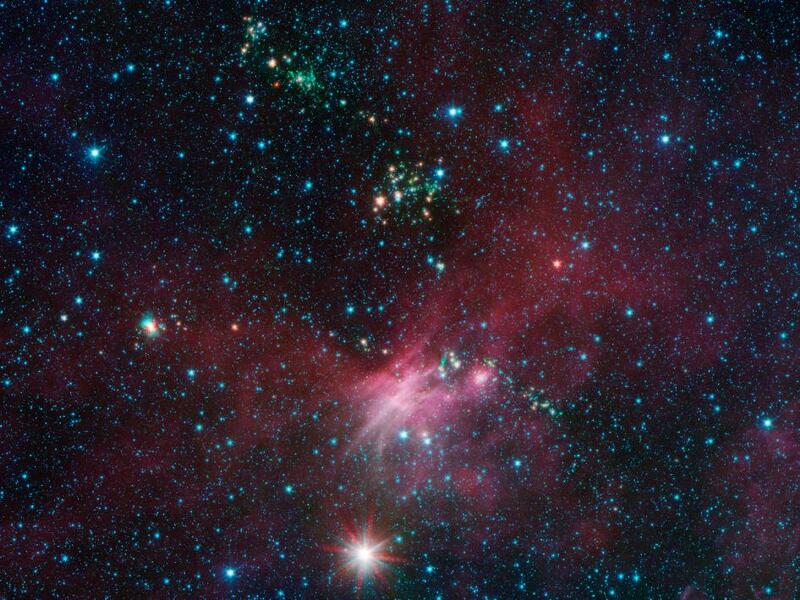 3542, PNV J17335943-3606216 is now NOVA SCORPII 2013. 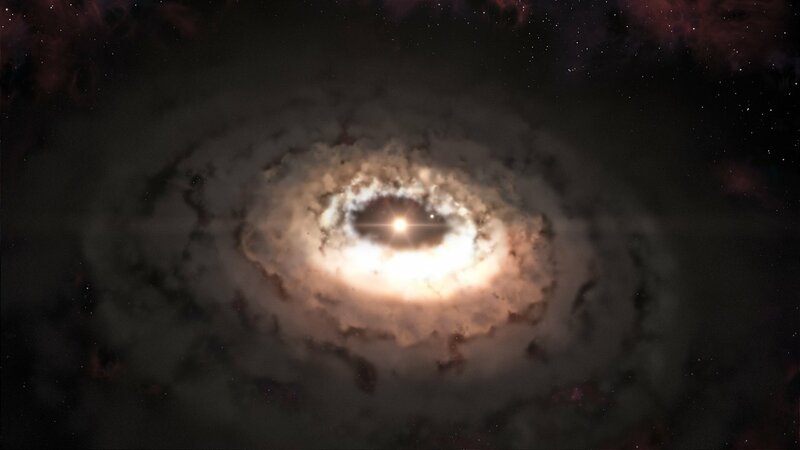 This nova has been discovered by Koichi Nishiyama and Fujio Kabashima (Japan) june 3rd. ( L=7min, RGB=3min ea. ).